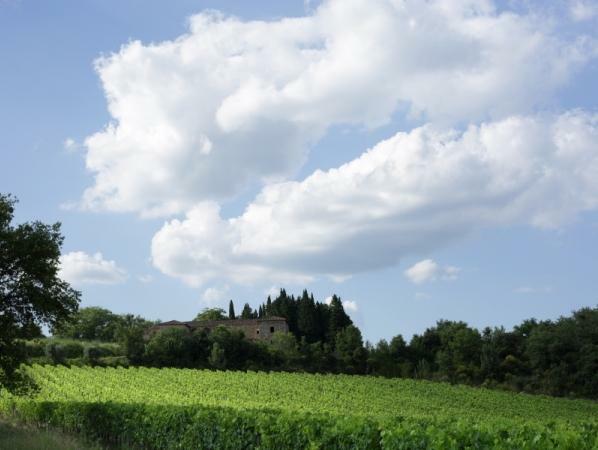 "Fattoria di Fèlsina has long been one of the great names in Tuscany. Based in the Chianti Classico region, Fèlsina produces one of the finest ranges of ageworthy and complex Chianti bottlings in all of Italy. Unlike many of their neighbors, Fèlsina has never succumbed to the temptation to produce "new age" wines from their fine Chianti vineyards, and continues to grow solely Sangiovese here, rather than dabble with international-styled blends that include Cabernet Sauvignon or Merlot. Consequently, their elegant yet intensely flavored Chiantis place them firmly among the top handful of Chianti producers, with the best vintages of their top Riserva Chiantis often approaching Brunello di Montalcino in terms of complexity and potential for longevity. In addition to their distinct bottlings of Chianti Classico, Fèlsina also produces one of Italy's top Vino di Tavola's (or IGTs), called Fontalloro. Fontalloro is also 100% Sangiovese, with the wine sources from old vines in three top vineyards that straddle the border between two of Chianti's top regions: "Classico" and "Colli Senesi". It is produced from vines that are in excess of fifty years of age, and aged in small French oak barrels for fifteen to eighteen months prior to bottling. Amongst the "innovations" practiced for the Chianti bottlings at Fattoria di Fèlsina these days is a profound respect for the Tuscan traditions of yesterday, and which are sadly in such short supply at so many neighboring estates. At Fèlsina it is widely recognized that the fame of Tuscan wines is based historically on the compelling character of wines produced primarily from Sangiovese, and the estate continues to champion this great varietal using only old "massale" selections cultivated from cuttings from their top old vineyards. The vineyards are farmed organically and the average age of the Sangiovese vines at Fèlsina is remarkably old, with the "normale" bottling of the Chianti Classico hailing from vineyards that average fully thirty years of age. The two distinct Riserva Chianti bottlings are made from vines in excess of fifty years of age. These old vine Chiantis are routinely amongst the most cellar-worthy wines made in the region, and have no difficulty aging and improving in the bottle over ten to fifteen years in any top vintage. Fèlsina also owns a companion estate, Castello di Farnetella, in neighboring Colli Senesi, from whose vineyards a more immediately accessible and earlier drinking style of Chianti is produced. The style of the Fèlsina wines is deep and black fruity, with classic Tuscan spices married to fine expressions of soil, smoky tones and a deft touch of new oak. They will often have a bit of tannin in their youths, though always well-integrated into the body of the wine. As Sangiovese is much more adept at picking up the underlying soil nuances of the vineyard than either Cabernet Sauvignon or Merlot, the various Fèlsina Chianti bottlings and their Fontalloro are amongst the most classic expressions of Tuscan wine to be found in the market today. Delicious upon release, the wines of Fèlsina reach their apogees with several years of bottle age and are as fine examples as one can hope to find of great, classic Tuscan reds." Wine Spectator 92 WS TOP 100 2016 Rank 40 "Rich and sumptuous, boasting pure flavors of cherry and raspberry, matched to a juicy texture. There are plenty of tannins neatly folded into the overall structure, with hints of mineral and tea on the long, expansive finish. Best from 2017 through 2024." Antonio Galloni 93+ "Lavender, smoke, wild herbs, cassis, scorched earth and black fruit burst from the glass in the 2010 Maestro Raro. In 2010, the Cabernet Sauvignon notes are more prominent than they are in the 2011 tasted alongside it, but the tannins are also quite searing at this stage. Wine Spectator 95 "Black currant, cherry, cedar, olive and coffee aromas and flavors are intense, yet match the refined structure in this classy red. The tannins are assertive and ripe, providing grip and focus. The finish evokes black currant, herb and spice notes. Best from 2015 through 2030.